A depiction of food taken away, colors bled out, and a message in size. 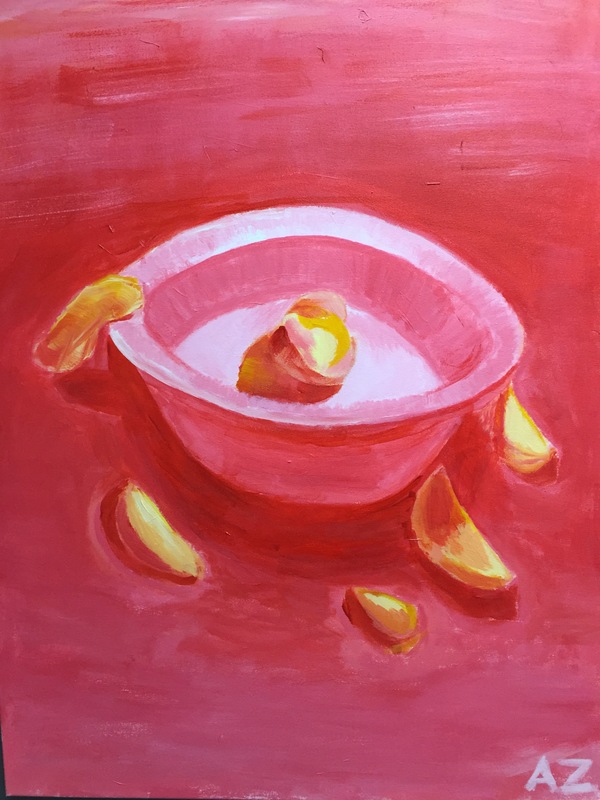 The bowl is now empty and the warm oils of wood, clay, and food—typical of still life—are sucked out, leaving only one hue, an extreme pink that conveys a harsh condition. The broad brushstrokes are sullen and stark. The empty background depicts a static state of nothingness. Slices and scraps draw acute awareness to a condition of have and have-not.